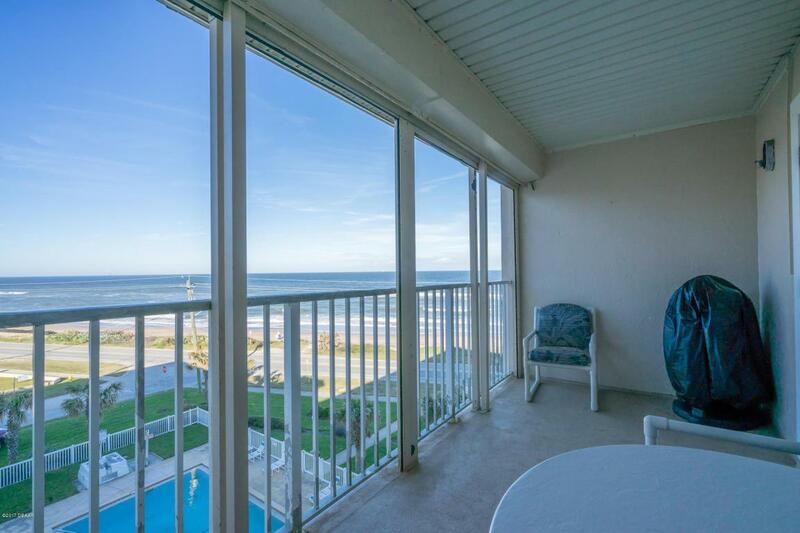 Enjoy the spectacular views from this furnished 2 bedroom, 2 bath Unit located on the 5th floor. 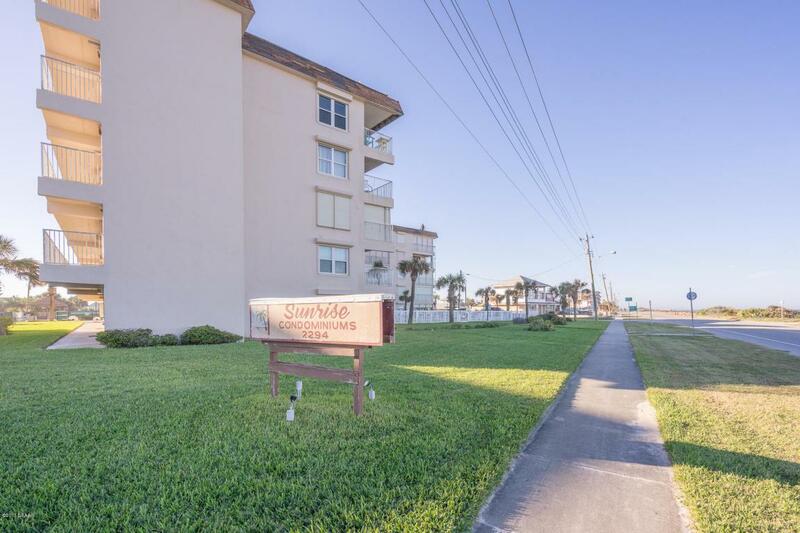 This large, spacious unit has been well maintained and features inside laundry with washer and dryer included. French doors lead you onto the patio, granite counter tops in kitchen, custom window treatments and hurricane shutters. This could be a great investment, primary or 2nd home. 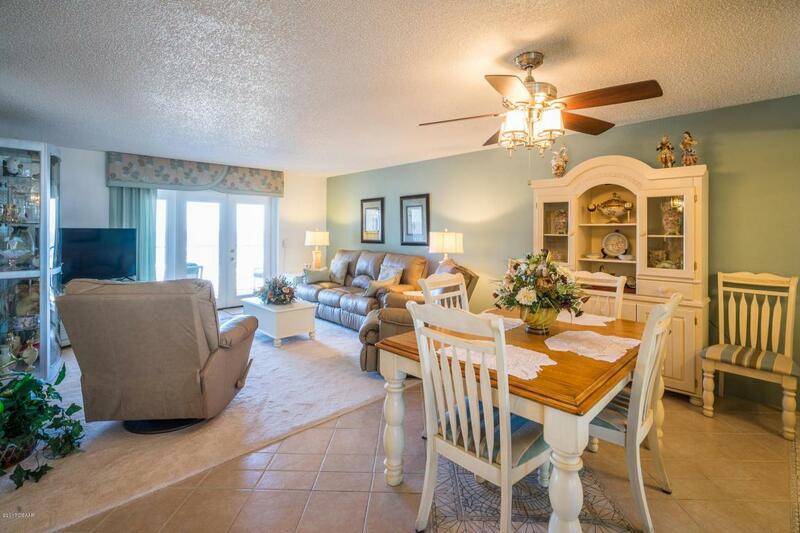 Enjoy the ocean breezes, beautiful sunrises and the no drive beach in Ormond by the Sea. The Underground parking, Small storage space and a community deck are a few of the extras. Small pet allowed. 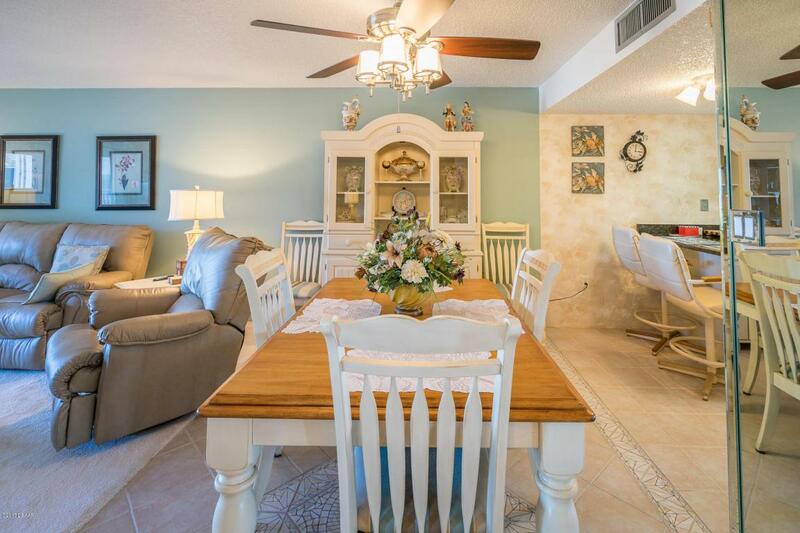 Listing courtesy of Terri Hewitt of Century 21 Sundance Realty.